The following was sent to me by my friend, Elda Stone. 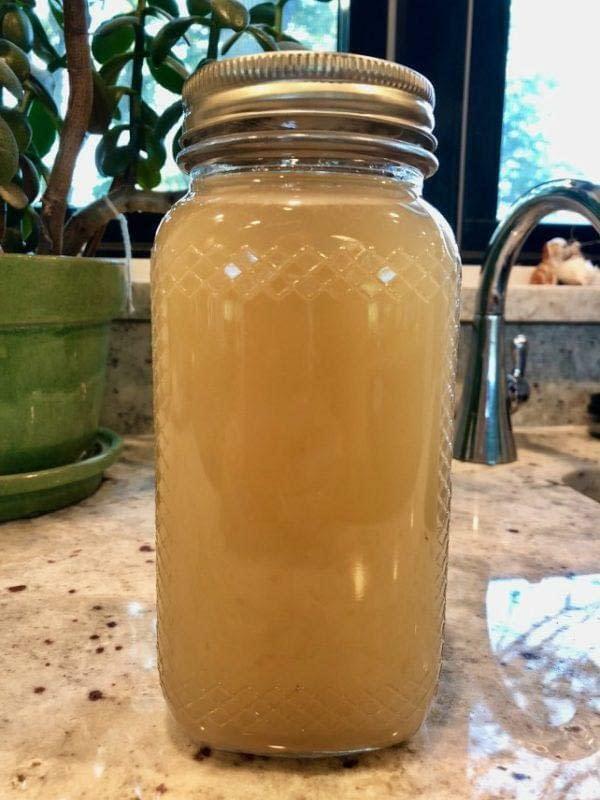 She is new to lard and I was happy to share a jar of leaf lard with her so she could experiment with an old family recipe. I don’t pretend to be a writer but she is a great one and I’m thrilled that she was willing to take the time to record her thoughts so I could share them here. These cut-out sugar cookies, spiced with cinnamon and cloves, were not my favorite as a kid. They were simple and plain, with no frosting. What, no frosting? But I still remember the distinctive taste, the thinness, and the crisp snap. Grossmutter is what my dad and his sister called their grandmother Babette Gehbauer Helmreich (1863-1948). Babette came over from Germany just before the start of World War I, joining her daughters who immigrated a decade earlier as teenagers. 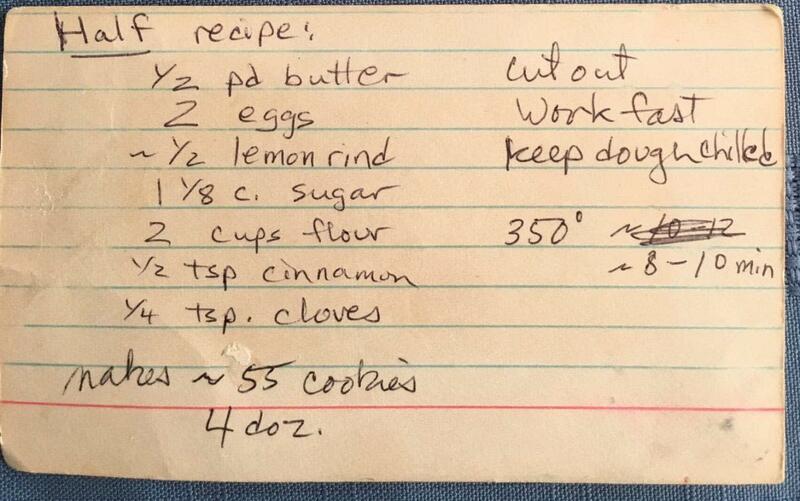 We never knew Babette, but our aunt and grandma made these cookies every year at Christmas. Lard – yuck. I had never tried baking with it. Even after chilling, the dough was miserably soft for rolling out and transferring to a baking sheet. It stuck to the mat and rolling pin, falling apart out of the cookie cutters. 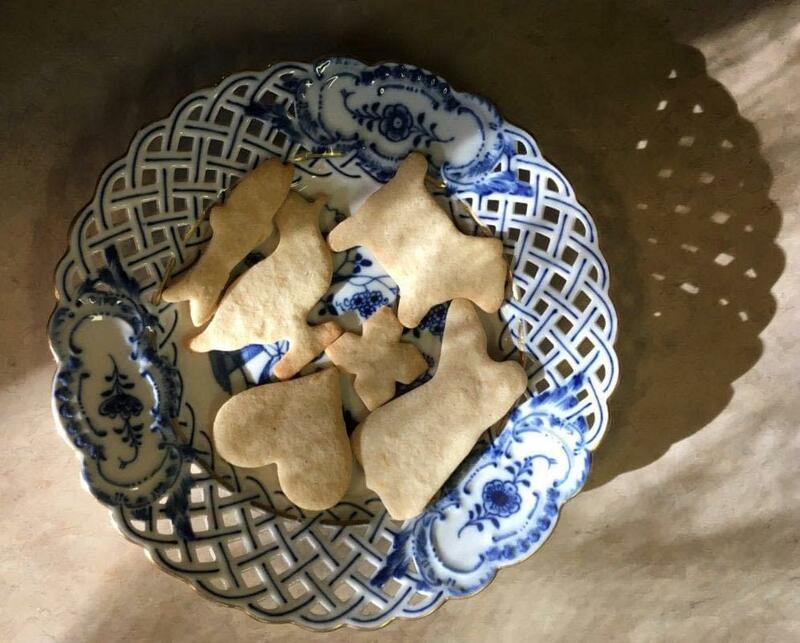 We managed to bake them, and they tasted reasonably like we remembered our grandma’s cookies, but a little too soft and not as thin. 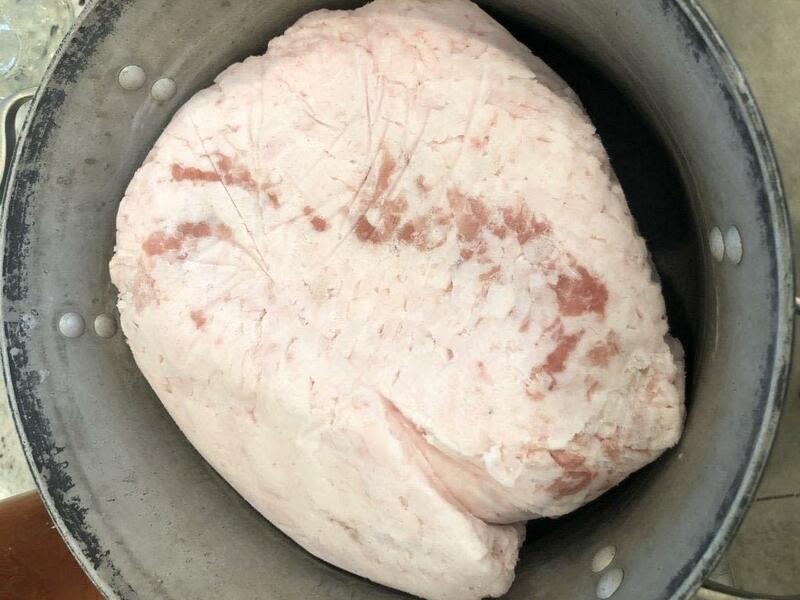 Having heard my friend Laura of Mossycup Farms talk about the virtues of lard, I wanted to try a “test kitchen” experiment in comparative baking. Laura supplied me with a jar of her home-rendered pork lard, from her organically fed, free-range hogs. It was surprisingly light, fluffy, and brilliantly white. 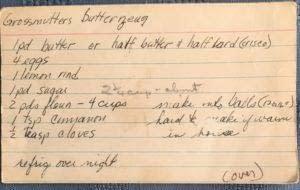 I again made a small batch of Butterzeug, this time with half butter and half lard. I wrapped two flattened disks of dough in wax paper and chilled them in the fridge overnight. The next day, the dough was very firm and easy to handle. It took some elbow grease to roll out the chilled disks. I was able to get it thinner than last time, and it still held together. 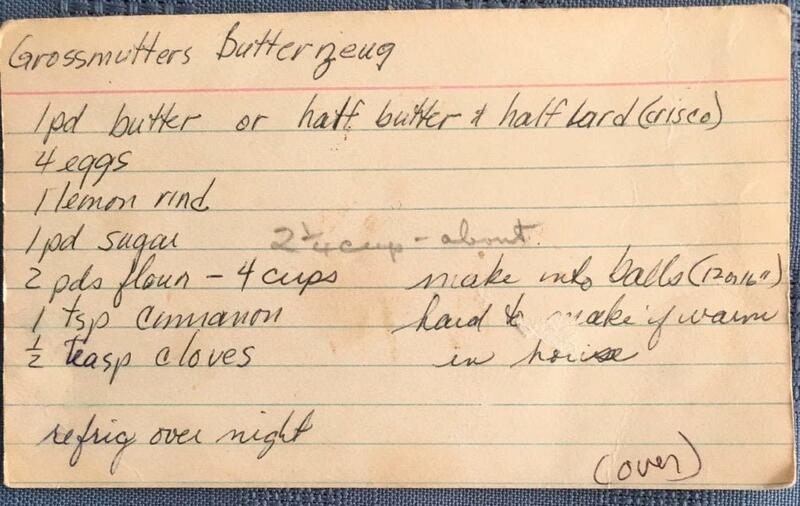 I baked according to directions, same as the all-butter batch. I had saved a couple cookies from the first batch to compare taste. For ease of handling and texture, the half-butter/half-lard version is better and tastes more like I remember. The cookies are definitely more crisp, possibly because I was able to roll the dough thinner. There’s a shortbread-like crumble to the tongue. This version also browned up a little if I pushed the baking time another minute. I certainly don’t notice any “porky” flavor from the lard. I’m surprised it resulted in firmer dough and crispier cookies, despite lard’s low melting temperature and light texture. 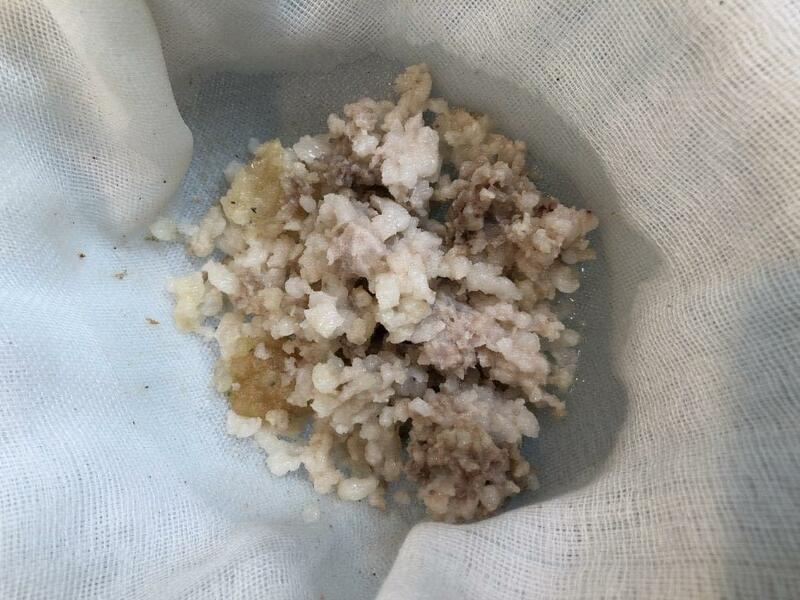 This article from Prevention magazine sums up the re-evaluation of lard., And it sounds much preferable to coconut oil, which has also been touted in recent years. Using half Crisco or other commercial shortening might also make this recipe easier to roll out and cut, but I’m more leery of using a processed product these days. So that’s my pseudo-scientific study on lard in a cookie recipe! Christmas cookies by any definition are A) only made at Christmas and B) not really supposed to be good for you. It’s more about the taste, texture, and visual delight. Lard delivered the taste of my childhood holidays. 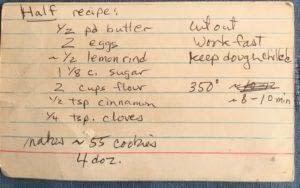 And making this family recipe brings back to life my aunt, my grandma, and my great-grandmother, standing behind me in the kitchen. Bones, hocks, necks, gizzards, feet, hearts, livers, fat…. Many don’t utilize these bits but are they really that odd? Before we began raising our own meat I didn’t cook with a lot of these things and it wasn’t because I didn’t want to it was mostly because I wasn’t aware of where I could buy them from a responsibly raised source. Now that we raise our own animals we have all of these things I thought I’d have to get really creative in utilizing all of these odd bits. What I’ve come to realize though is that I want to use them and they’ve become part of my normal cooking routine instead of something we choke down once a month because its good for us. Scroll to the bottom of this page for information on what “odd bits” we currently have in stock. I use these the most. I love soup and stews and a good bone broth adds flavor to many other dishes you wouldn’t normally consider it for. I’m making pulled pork today and have my pork roasts slow cooking in bone broth from a chicken we enjoyed for dinner last week that I saved the bones from and then boiled overnight with some chicken necks. 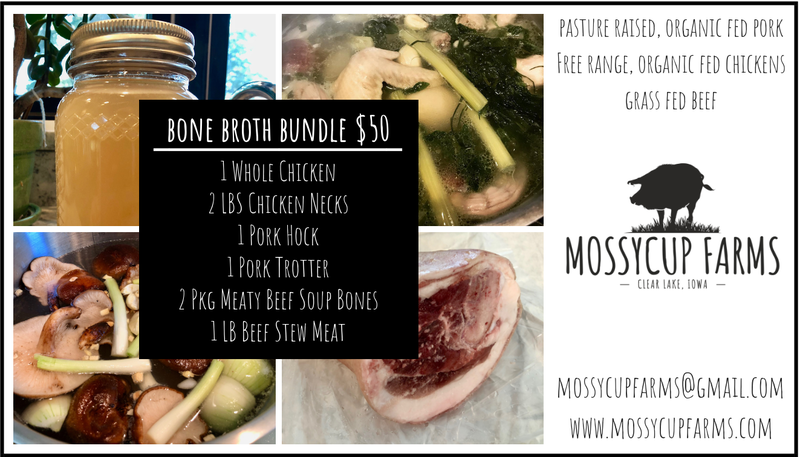 So many uses for broth made with bones from chicken, duck, pork and beef… you can drink it, put it in risotto, soups, gravy, cauliflower rice, mashed potatoes, and for braising meat on the smoker or grill just to name a few. 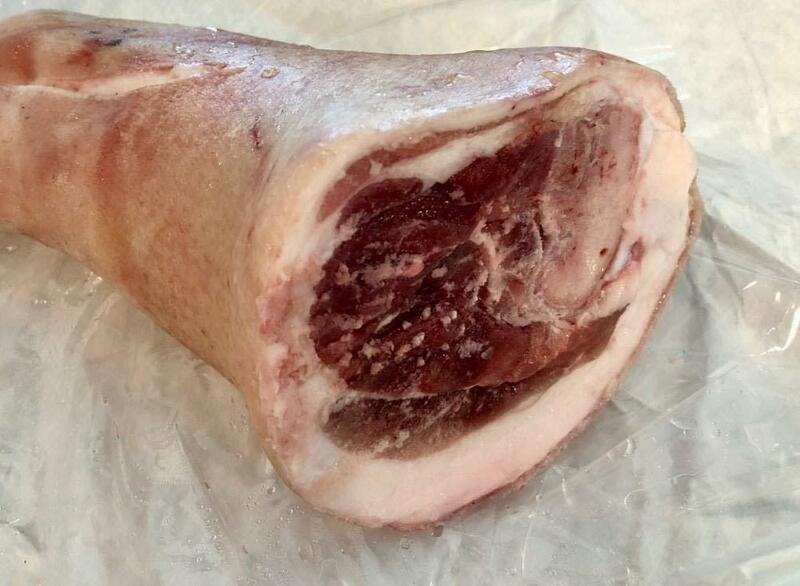 A pork hock is the area of leg directly below the ham or shoulder of a pig. The hock contains leg bones which make excellent bone broth and also a good amount of meat around it. I like to roast the hocks first and then boil them overnight until the meat falls off the bone. 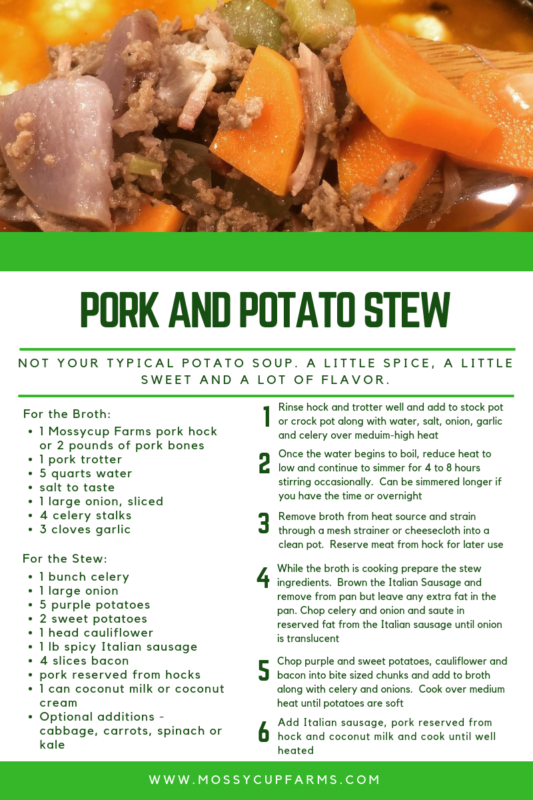 You can find a recipe HERE for a soup I made over the weekend using pork hocks. A ham hock is a pork hock that has been cured and smoked like ham but is a great, less expensive, option for recipes that would normally include a bone in ham. These have become my favorite addition to bone broth. I add them in with chicken or pork bones and because they contain a lot of collagen and gelatin they make a very thick, rich stock. 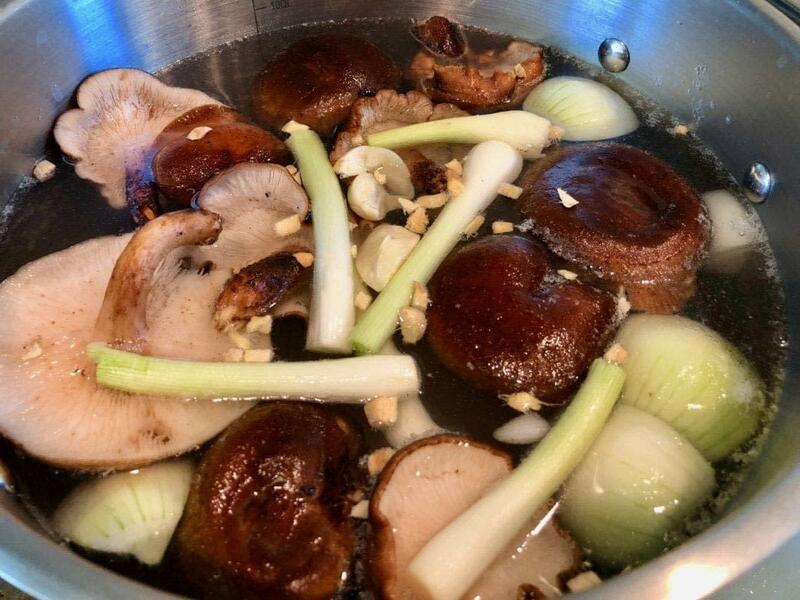 CLICK HERE for an easy chicken stock recipe using necks. I have to admit that I’m not a huge fan of gizzards. Some people love them though. CLICK HERE for a recipe I’ve used before that went over really well. Gizzard are rich in protein as well as many vitamins and minerals. 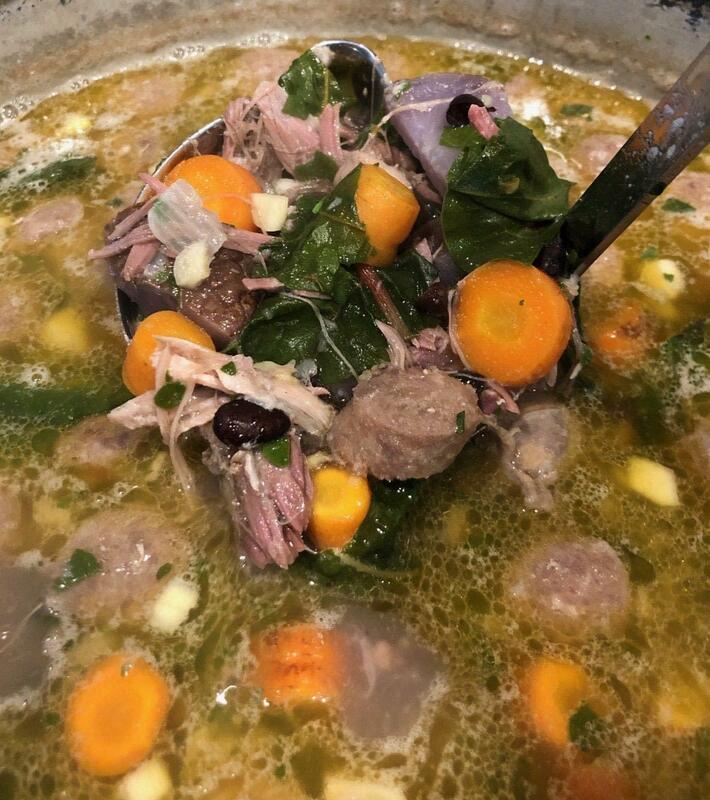 Next to chicken necks, feet are my favorite add in to broth. 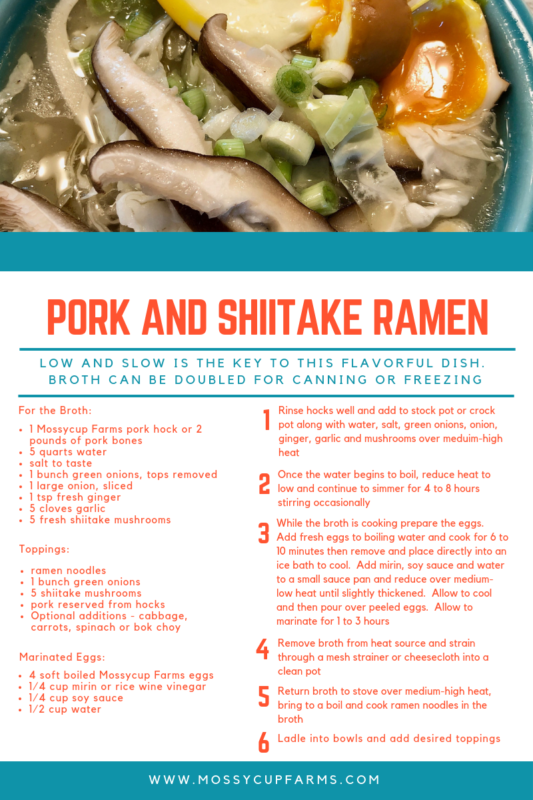 Want a thick gelatinous and delicious broth? Get some chicken or pig feet (also known as pork trotters). They’re amazing. CLICK HEREfor a trotter stew recipe. We have our pork and beef hearts mixed in with our ground meat. The heart is rich in folate, iron, zinc, and selenium but I don’t really want to cook it so this has been the easiest way for us to capture those nutrients. Chicken and duck hearts are another story though. Wrap those puppies in bacon and throw them on the grill. 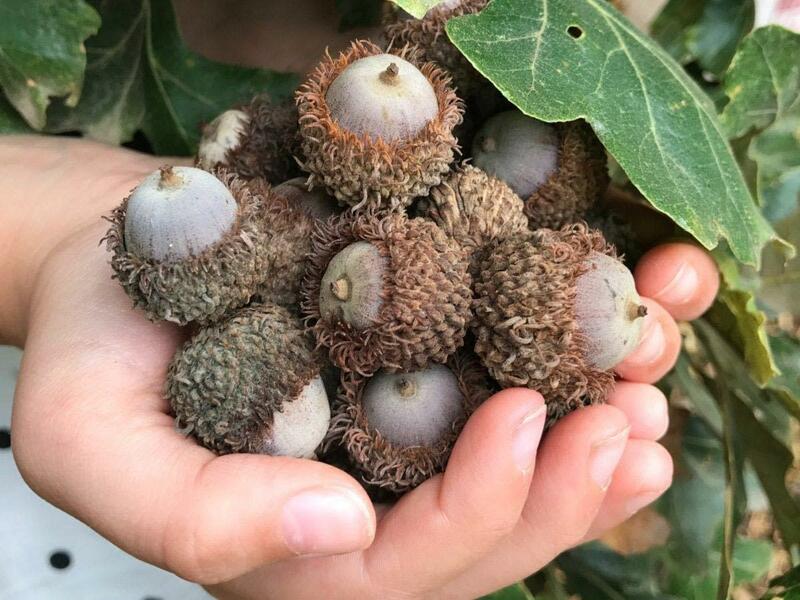 Our kids go nuts for them. “So what makes liver so wonderful? Quite simply, it contains more nutrients, gram for gram, than any other food.” This article from the Weston A Price Foundation explains liver better than I can. If you know me, you know that I love lard. I use it daily for cooking, baking, frying and I even wash my hair with lard soap. Stay tuned for our upcoming “Lardy Party” where I’ll be demonstrating how to render lard yourself. This site does a great job of explaining why you need lard in your life. Lard – Currently out of stock but we’ll have more soon! Making bone broth takes time but doesn’t have to be time consuming. I used to think I needed to watch it the whole time it was cooking but I’ve since realized it can pretty much be left alone. I’ll often throw a 10 qt pot full of bones, hocks or necks with whatever herbs I have in the garden on the stove in the morning and pretty much forget about it until my house starts to smell amazing which usually means its close to being done. I stopped at the Clear Lake Farmers Market on Saturday morning and grabbed a few bunches of fresh green onions among other things. 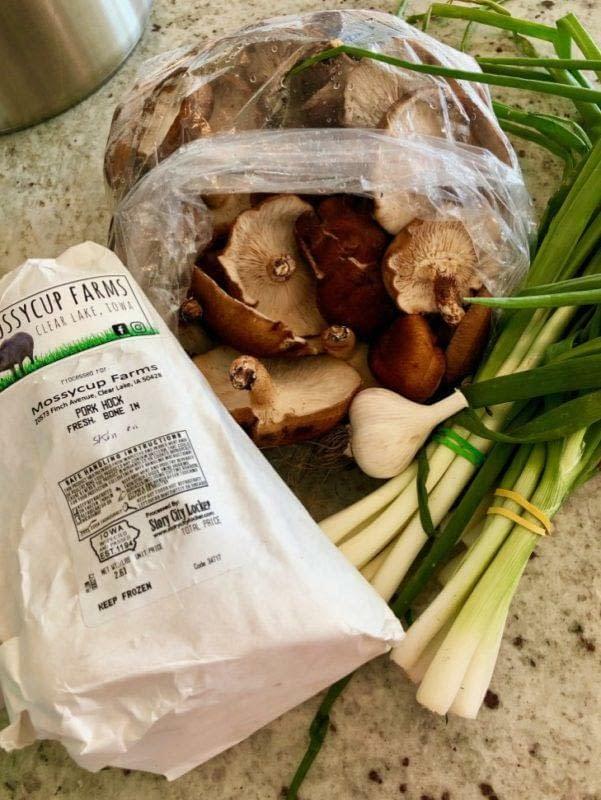 I had purchased shiitake mushrooms from a local producer here in Clear Lake (email me for their contact information if you’d like it) and was looking for more ways to use them. 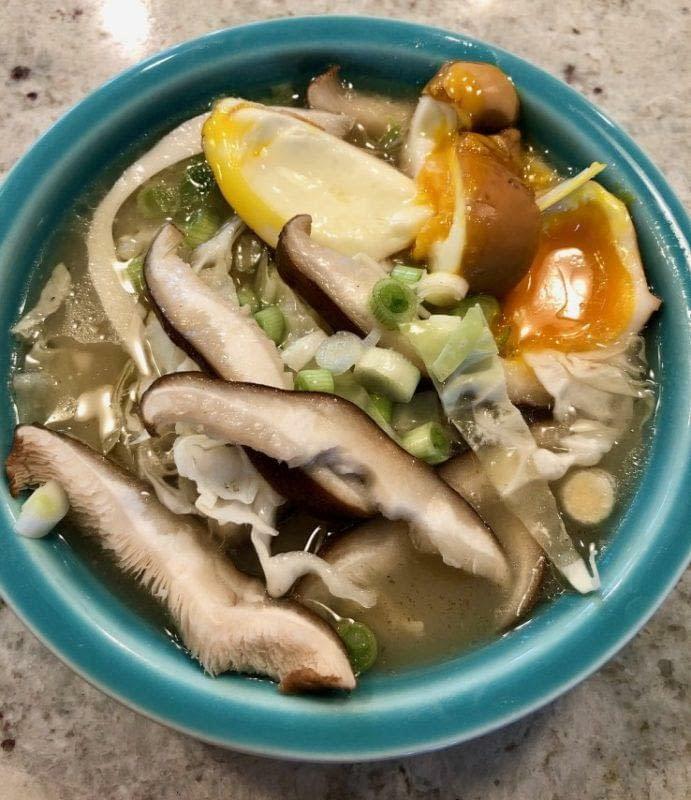 I love real ramen – not the cheap stuff at the grocery store with a dry seasoning mix – and decided to make it myself (recipe below). I decided to use pork hocks for the broth in this batch but pork or chicken bones would also work. The added benefit of hocks is that they’re actually pretty meaty so you get a really nice bone broth and a good amount of meat to serve with your soup. 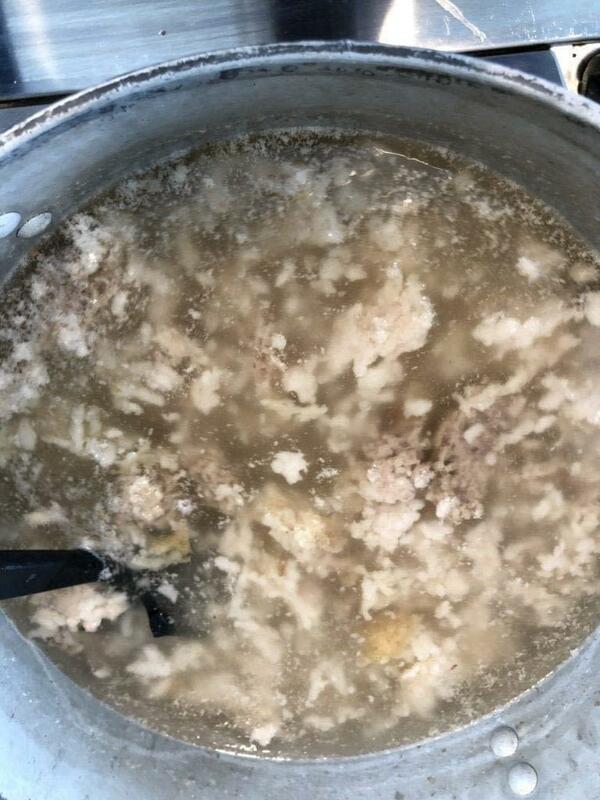 If you prefer a thicker stock adding a pigs foot or a handful of chicken necks will give you a wonderfully thick, gelatinous broth. Click Here for a good read on all of the uses for pigs feet. 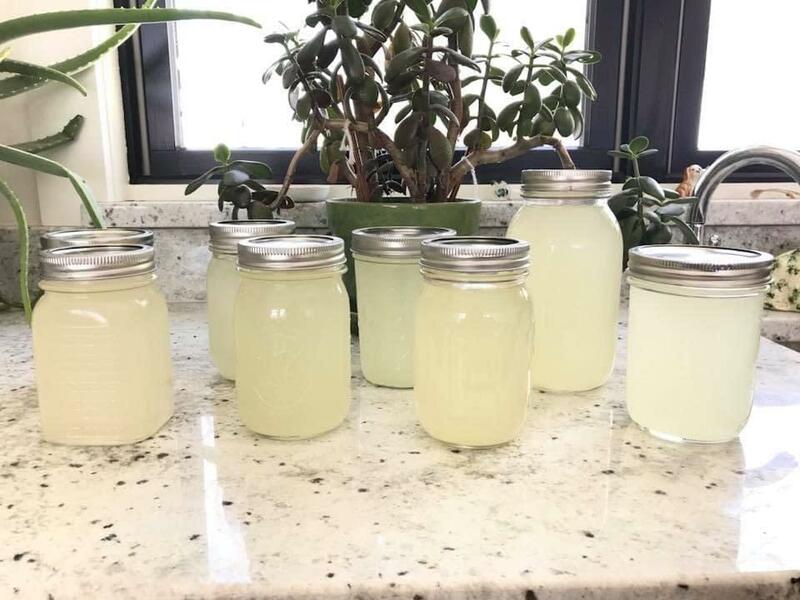 The recipe calls for 5 quarts of water but I chose to make a double batch and ended up with a full meal for our family plus I was able to jar and pressure can an additional 4 quarts for use later. Extra broth could also be frozen if canning isn’t your thing. Here’s the recipe – I hope you enjoy it as much as we did! Need hocks or bones for your stock? Contact us to purchase some! 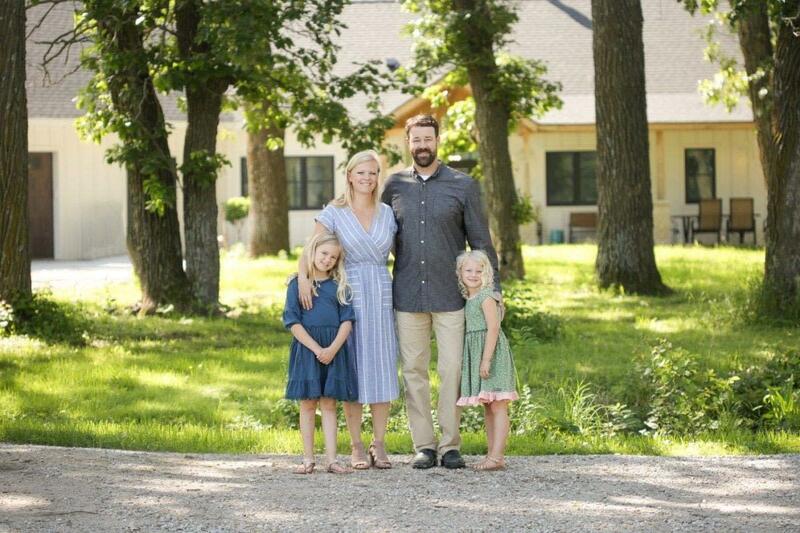 We’ve owned our farm since 2015 but have just recently finished building our house and are now living on the farm. Does that officially make us farmers? We drove back and forth from our house in town to do chores before we lived out here and its been really nice to wake up a wander outside to check the animals in my PJ’s. Our kids realized after waking up for the first time in their new bedrooms that they have an amazing view of the sunrise. If you’re sitting on our front porch (which I’m doing right now) you can also watch the sun set. We’ve never had a view before and we’re really enjoying it. What else is new…. 4 litters of piglets have been born on our farm this year and we will be restocking our freezers in October, November & December. For purchasing options CLICK HERE. Because we had our hands full with moving, landscaping and such we only raised 1 batch of broiler chickens but we will be offering those as part of meat bundles. If you’d like to stay up to date on current offerings please join our email list. We decided to add quail, ducks and geese to our poultry population and are really enjoying watching them grow. The girls and I decided to make lard soap this summer and have been really impressed with the results. Will write more about soap making soon! Hope you are enjoying our new website! We’re excited to have this new way to communicate and will be posting more information soon!